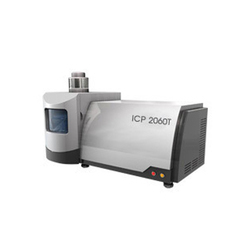 Leading Exporter of ocean series icp2060 inductively coupled plasma emission spectrometers from Ludhiana. background emissions Software controlled flow of carrier gas, plasma gas and auxiliary gas provide real time monitor as well as highly stability of flux. Various types of plasma torches , nebulizer as well as spray chamber are optional. Data management, quantitative and qualitative analysis, test parameter setting, one button report generation, background and interference correction, fast calibration mode, instrument status indication, and online self diagnostic. Wavelength range195~500 nm for 3600 line grating, 195~800 nm for 2400 line grating. Looking for Ocean Series ICP2060T ?